Browse: Home / CJExploiter – Drag and Drop ClickJacking exploit development assistance tool. 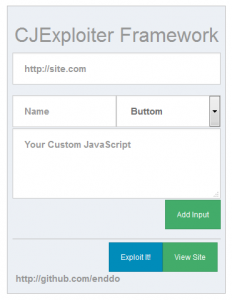 CJExploiter is drag and drop ClickJacking exploit development assistance tool. First open the “index.html” with your browser locally and enter target URL and click on “View Site”. 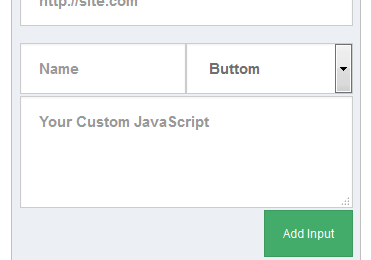 You can dynamically create your own inputs. Finally by click the “Exploit It” you can see the P0C. ← IRTriage – Windows Evidence Collection for Forensic Analysis can defeat many anti-forensics techniques.